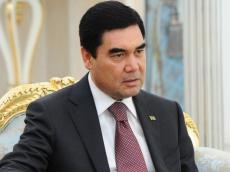 President of Turkmenistan Gurbanguly Berdimuhamedov will be on a visit to New York from September 29 to October 2, 2018 to participate in the 73rd session of the UN General Assembly, the Turkmen government said in a message Aug. 8. Turkmenistan will propose to declare 2019 the "Year of peace and trust" and to hold a conference on disarmament in Ashgabat according to the priority standpoints of Turkmenistan at the regular session of the UN General Assembly, published in the local media. Turkmenistan also proposes to create a global partnership to protect the interests of young people. Ashgabat is ready to host the international youth forum in this regard. One of its main topics will be the preparation of proposals on the structure, composition, working methods and other issues of the new initiative. Gurbanguly Berdimuhamedov took part in the session of the UN General Assembly last time in September 2015.